It appears that I may have been a villan for the last few years, but now I am now vindicated but also educated of my villainous activities. 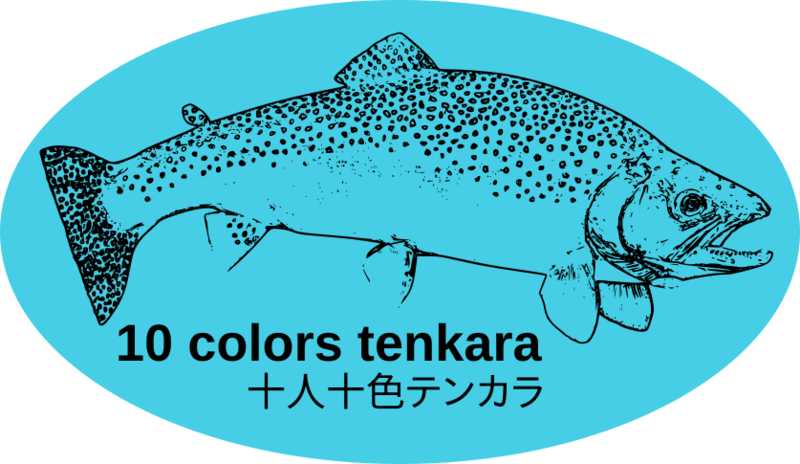 Tenkara fishing (a traditional Japanese methodof fly-fishing without a reel) is now allowed in fly fishing areas. hahahhahaha…I thought all of you would get a kick out of that. Now you can tell everyone I used to be tenkara gangstah…doing what I want where I want. I feel a new sense of freedom in the world. While I do not live there, I do occasionally fish in NH. They also still have fly fishing only waters and their Fish and Game Department refuses to acknowledge anything without an attached reel as fly fishing. I guess you’re no longer a poacher, haha! That is pretty funny. I guess to fish those waters we would have to attach a prosthetic reel to be in compliance. I guess it could be a cardboard one or have a little hook to hang our line spool when we see the ranger sneaking up…hahahaaha. I am willing to bet someone in Connecticut had to fight to get that change…drawing up diagrams and petitions. Would it count if you just tie a tenkara line to the tip of a full flex 1 or 2 weight fly rod? I don’t feel like duct taping my fly reel to my tenkara rod; I think it would ruin the handle. I’ve heard a few people have been trying in NH, but I guess there are enough individuals on the board of the Fish and Game Department that are opposed to tenkara that there aren’t enough votes to change the law - yet. Any law can change (unfortunately, that means for the better or worse). If you know any of those people, forward me their address. I can send them my bandit mask…seeing I dont need it anymore. I wonder what fishing practice in the past motivated some states to specify a reel must be on a rod to qualify as being fly fishing. Or if it was as simple as reel manufacturers getting that specification added to the rules. I think the original intent of the fly fishing laws were to weed out spinning or other, hand lining or bait fishing. They probably never foresaw the Japanese method sans reel. Since spinning or bait casters both also have reels maybe the rule was a bit of snobbery, to keep the kid with a willow or bamboo pole with bobber and baited hook off their stream. Or pole fishing in general. Who knew the Brits have a Pole Fishing magazine? Their pole prices are above my budget. Found this wiki page about rods, that turned out being an interesting read.